Find out more about the awards we've won, with testimonials from our clients too. Having been awarded the same title at the European Search Awards, we were thrilled to win “Best Large SEO Agency” at the UK Search Awards. 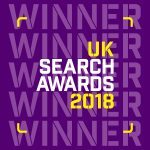 This award recognises excellence in search marketing alongside commitment to team development and contribution to the growth of the UK digital industry. 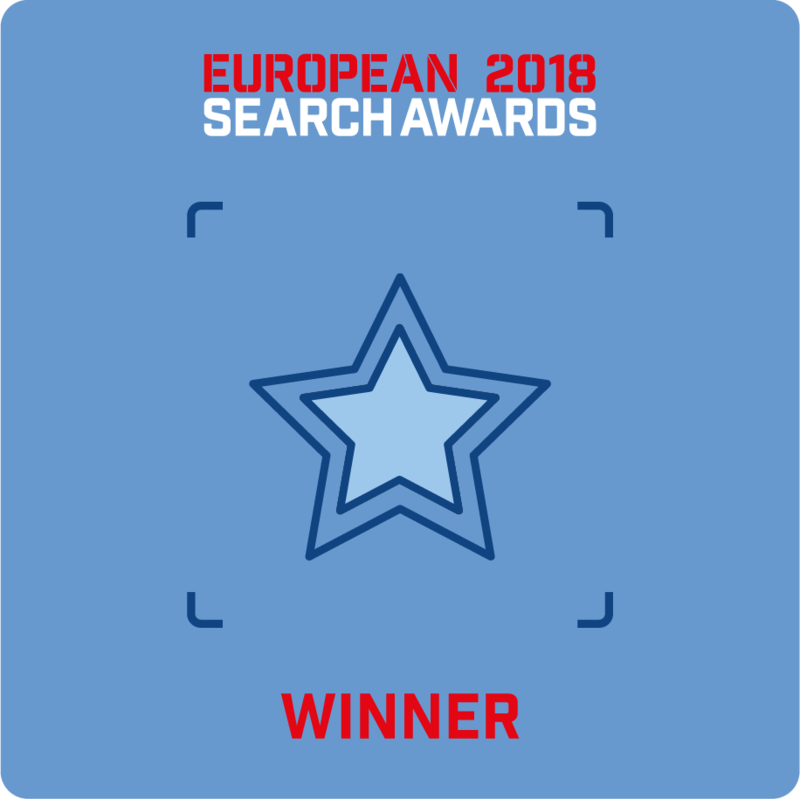 Impression was announced as the winner of the title ‘Best Large SEO Agency in Europe’ at the European Search Awards final in Prague in 2018. This award recognises the very best in SEO strategy, creativity, implementation and results, so we were very proud to be recognised and to beat such strong competition from long established, well known agency brands – positioning Impression firmly at the forefront of the UK digital scene. 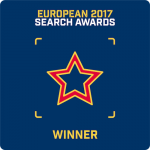 Impression was announced as the winner of the title ‘Best Small PPC Agency in Europe’ at the European Search Awards final in Poland in 2017. The awards are recognised across Europe and we beat off competition from some much larger, much longer established agencies to earn this sought after accolade in recognition of our PPC team’s incredible results. 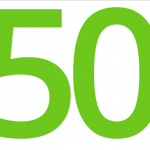 The Deloitte Fast 50 Awards recognise high growth businesses in the technology sector. We are very proud to have been named in this list, which features far larger and longer established businesses than our own. We were also named Midlands Regional Winner as the highest growth digital business here and a contributor to digital industry growth across the UK. The Drum is a global marketing platform which recognises the leading digital agencies in its annual Top 100 list. This is based wholly on reviews from our clients, so we’re thrilled to be included! Impression emerged as the third-best search agency in the research, and had the seventh RAR ranking overall. RAR – the Recommended Agency Register – is an independent platform where agency clients can post reviews and testimonials of their experiences. As a RAR approved agency, Impression appears in the RAR index and our clients are able to review us there. We were thrilled to be awarded the RAR Digital Strategy award, which is based solely on the reviews of our clients. Impression was shortlisted for the title of Search Agency of the Year in the UK Agency Awards. This award recognises agencies that have delivered exceptional results for their clients alongside impressive growth, investment in team and contribution to the industry. Impression was also shortlisted for Most Innovative Campaign and Best PR Campaign. 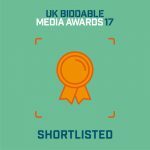 The UK Biddable Media Awards recognise the very best in paid media management, including Google AdWords, Bing Ads and social advertising. 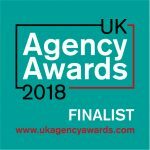 We were finalists in a number of categories, including Best Performance Biddable Agency, which recognises the strength of ROAS among an agency’s campaigns, rewarding those which achieve the greatest return on their clients’ investment. As well as winning the title of Best Small PPC Agency, we were finalists in the category of Best Small SEO Agency too! Our entry included campaigns for large ecommerce clients, consumer brands and a B2B business, showing our delivery of ranking improvements, traffic increases and conversion increases that made real, tangible differences to our clients’ bottom lines, all based on strong digital strategies. The RAR Awards are based solely on the reviews and testimonials of an agency’s clients. As a RAR approved agency, we have no bearing on how we do in the awards, as it’s all decided on the back of what our clients say. We are excited to be finalists in the Search Agency category in the 2018 RAR Awards, in recognition of the fantastic results we achieve through search marketing for our range of clients. The RAR Awards are based solely on the reviews and testimonials of an agency’s clients. As a RAR approved agency, we have no bearing on how we do in the awards, as it’s all decided on the back of what our clients say. 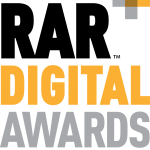 We are thrilled to be finalists in the Digital Strategy category in recognition of the high performance strategies we create for our clients. The RAR Awards are based solely on the reviews and testimonials of an agency’s clients. As a RAR approved agency, we have no bearing on how we do in the awards, as it’s all decided on the back of what our clients say. 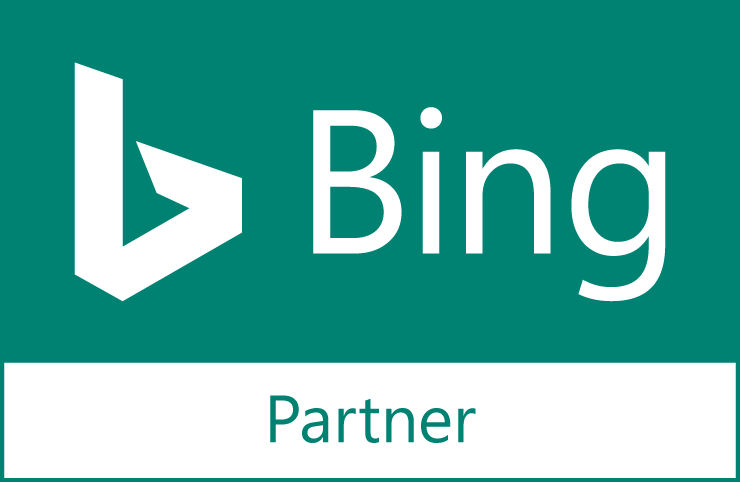 We are thrilled to be finalists in the Strategic Thinking category in recognition of our approach to search marketing. The RAR Awards are based solely on the reviews and testimonials of an agency’s clients. As a RAR approved agency, we have no bearing on how we do in the awards, as it’s all decided on the back of what our clients say. We were thrilled to be finalists in the Strategic Thinking category of the RAR awards, and later won the Digital Strategy award in the RAR Digital Awards too. 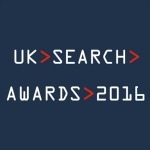 The UK Search Awards recognises the very best in search marketing here in the UK. We were shortlisted in two categories, including the Best Small SEO Agency award, for which we submitted campaigns including a B2B ecommerce store that increased its revenue by 1,127% in 9 months with us, plus a B2C ecommerce store that drove a huge increase in sales through a targeting SEO campaign. Integrated search is all about using the various facets of search marketing to deliver great results. 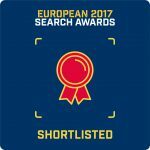 As an agency, we offer a full range of search marketing services, including SEO, PPC, PR, content marketing and CRO; we were recognised for our integrated use of these services across a number of campaigns with a shortlist in the European Search Awards Best Small Integrated Search Agency category. We have a wide range of clients who approach us trying to improve their local targeting for higher quality, more relevant leads/sales for their business. In the case of one particular client, we utilised the skills of both our PPC team and our web development team to create a solid local campaign that really delivered! Our use of dynamic location pages and clever audience targeting led to much higher quality leads for our client. We were proud to be shortlisted in the Best Small Integrated Search Agency award at the UK Search Awards. The UK is home to some huge names in digital marketing and it was humbling for us to be recognised alongside them. Our entry included a large scale SEO and PR campaign that drove thousands of new leads as well as prominent placements in international media, plus a content marketing campaign that drove SEO success. We were really pleased to win the title of New Business of the Year at the Nottingham Post Business Awards in 2016. As a Nottingham based business, these awards were a great reward for our team, which has worked hard to make our mark in a very competitive local marketplace. As we continue to grow, we plan to retain our Nottingham HQ, as well as our London base. 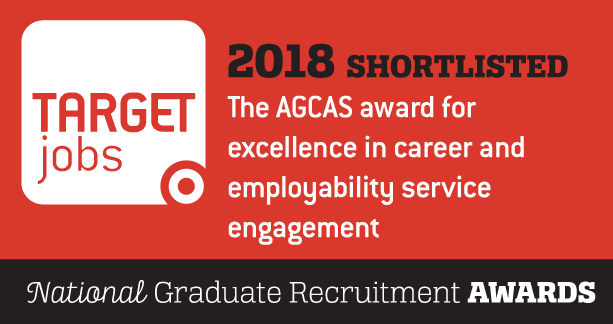 This award recognises excellence in supporting and providing graduate recruitment opportunities and came as a result of our close work with the University of Nottingham and our comprehensive graduate training programme. 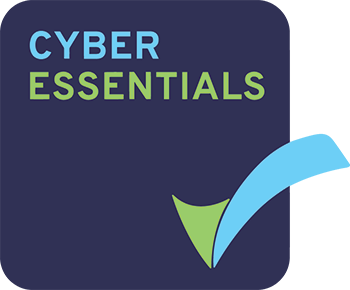 We work with clients who know exactly what they want when they come to us, and with those who are not year clear and seek our help in crafting the digital strategy that will get them the results they need. No matter what stage you're at with your digital marketing, our multi-award winning team is here to help. And he’s not wrong! Without sounding cliched or false, we genuinely aren’t doing this for the awards. Our whole team has been built on the values of data-driven, results-focused digital marketing that achieves fantastic results for our clients. We take pride in our work and in the difference we make to the many businesses we work with. With that said, we are very proud and humbled when that work is recognised in the form of awards. Since we started our journey as an agency, we’ve recognised that we move in a very competitive marketplace and that our audience can struggle to identify the truly great agencies from the ‘good’ or ‘mediocre’ – and awards are a useful way to do this. You can find out about our awards here. Or better still, get in touch today and arrange to meet us; we’d love to discuss what we can do to help you. Innovative and efficient Impression always come up with interesting and relevant solutions. Data analysis capabilities show trends we hadn’t thought of. Highly professional and always approachable, excellent at keeping within a tight budget. Impression have delivered great results on our Adwords campaigns and more importantly given us a better idea of how effectively we are spending our advertising budget. They are always open and honest about their work and if a change they’ve implemented hasn’t performed as expected, their approach allows them to learn from this and quickly improve our advertising campaigns. Impression have been great agency to work with. They are experts in their field and have good depth in the services they can offer. They are very easy to work with and have helped improve both our website style and content as well as our presence. Since we began working with them we have seen a considerable increase in leads and as a result sales. I can’t recommend them highly enough. Impression really know their stuff and have their finger firmly on the digital pulse, meaning they keep us up to date with all the things we should be doing. Never mind the fact, they are just great people who are always willing to help and deliver deliver deliver. Our digital strategies across SEO, PPC, PR, content marketing and web development have helped us become a multi-award winning agency. But more importantly, they’ve helped our clients’ businesses to grow. Find out how we can help you; get in touch today using the form below and a member of our team will get back to you as soon as possible. SEO isn't just about keywords and rankings anymore. For us, it's about understanding a company's growth aspiration, identifying the areas of most potential and crafting websites and strategies that blow the competition out of the water. As the Best Small PPC Agency in Europe (officially!) we have delivered campaigns across search, Shopping, display, remarketing and social, using Google, Bing and a wide range of social networks. Digital PR is all about helping potential customers learn more about your business, driving valuable new traffic and links in the process. Our creative, PRCA accredited team helps your business to thrive. Does your website achieve high traffic levels but low conversion rates? CRO is all about making your existing traffic work harder for you by split testing and experimenting to find the best design, layout and content combinations. We craft content marketing campaigns that are designed to engage your audience, attract new interest and contribute toward your SEO goals, too, through a combination of data and creativity. Is your business website looking tired? Perhaps it's not performing the way you need it to, or the platform on which it's built is restricting its growth. Our in-house web design and development team is here to help.